In this section we show you which items you can buy in the Real Money Store and what the advantages are characterized. We also tell you the advantages and disadvantages of each purchase and take a close look at the price-performance ratio. If you are thinking of the game’s real money at the store to spend, will find it here. All who buys it at the store, end up in the inventory account on which you can access it any time. Items contained therein are not lost upon the death of your character. Event tickets give you into access to specific servers with special rules. Each buyer receives one of the latest versions of some tickets for his account inventory. This you can then use across with all characters. Go to you once the tickets, you can purchase them either in the shop or real money lucky to find in the game world. Because sometimes a event ticket as loot hidden in cabinets or other containers. However, since the server overflowing the moment before players heard quite a bit of luck. The special servers include the "Battle Royal" server. These players come in a sort of deathmatch against each other. In the course of the match, but the card is getting smaller and drives all counterparties together in the middle. The whole thing is based on the popular "Hunger Games" – Game modes Survival in many games. The winner of the match will be rewarded with items. The profit for you can be large so if you are willing to put a ticket and your character on the line. This means that you effectively pay € 2.50 for the cheapest event ticket bundle. Since the cheapest Station Cash Package starts from only € 5 and you are 500 SC, you must pay at least that amount. The same is true for the larger event ticket bundles. You have to spend more money than is actually necessary. In addition, the special servers are always online only to the actual events. We recommend you to stay with the tickets which you get with your purchase of H1Z1. With this you can try out your events and Over in doubt again, if you absolutely want to connect a second time on such a server. 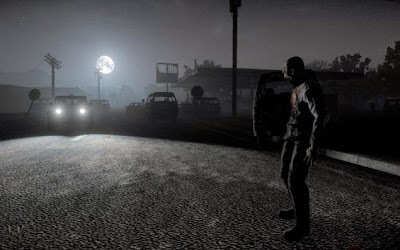 About the airdrops of H1Z1 you release the survival game is much debated. How they affect the game and move players to invest real money in a better position? With our overview you can make you own picture. We show you the probability with which the various airdrops occur and how much real money you must invest her for it. The opportunities you see already that it is even quite unlikely to get a weapon, including ammunition. Furthermore, the chances dwindle further as foreign players you can collect the airdrop. The plane that brings you the goods, it throws off in an approximate radius of 700 meters around you. The arrival of the aircraft to all players early in a large radius. The box then falls slowly to the ground. Touch her on the ground, it explodes and sets the specified number of zombies free. Now you have therefore only to cope with the zombies while discouraging thieving players from you. All in all, we can only advise against buying, as the benefits of the boxes remains very limited and not guaranteed ascribes you a profit. Moreover, the price of five euros per Airdrop is quite high. If in doubt, you give the money out for another player who is faster to your chest. The Loot chests currently included in the single account objects in H1Z1 that you can not buy in the shop. You will receive a certain number of cases, when you buy the game. There are matching keys that unlocks it and you get to the content can. The prices of the key can be found below. Are you the crates assumed you have currently only possible to a battle royal event take to get a crate as a reward. For this you need but again, event tickets, to gain access. In cases are merely cosmetic items. This means that you always get a skin for a certain Inventar slot when you open a box. This could be a hat or special colors for pants and T-shirts. Among the rewards and the Aviator Cap-Recipe one that you get with the purchase of the Premium version of H1Z1. This Skin recipes always remain in your account inventory and can not be used up. To use it you need but an object in the corresponding slot. This means that you first need to find and wear a hat before you can apply the skin on it and then change the subject. What skin you get out of the crate is completely random. You can also run the risk of getting the same skin again. Whether you this gambling the price of 2.50 € per crate's worth, you have to decide for yourself. Station Cash is the ingame currency of H1Z1. For real money buys her SC and populates your game account. With the purchased SC, you can now buy all the account items. The prices of the Station Cash's fall from quite steep. For five euros you get the equivalent of only a Airdrop for your account. An overview of prices can be found at the end of these lines. Use this table you can easily find the items purchased convert into real money.